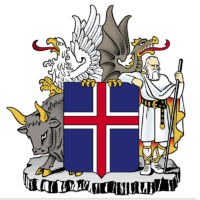 Capital city: Reykjavik. The largest municipalities are Reykjavik* (118,000); Kópavogur* (30,000); Hafnarfjörður* (25,000); Akureyri (17,000); Reykjanesbær (14,000). *Cities in the capital region. Glaciers: Glaciers cover 11,922 km2 (4,600 sq. miles) of the island’s surface. Vatnajokull National Park is the largest national park in Europe. The island is conveniently located right between Europe and east coast of USA. Distance is about 5-6 hours by flight from USA and 2-4 hours from Europe. CP Reykajvik have partnered up with Hertz Iceland to offer meeting participants a special discount off car hire. National Parks:There are three National Parks in Iceland, each with its own particular points of interest. Thingvellir, is in a rift valley between the North Atlantic and Eurasian Plates. It is a site of historical and cultural as well as of geological importance, and is recognized as a UNESCO World Heritage site. Snæfellsjökull National Park includes a volcano and glacier, and is steeped in mystery and romance; it is the only Park that reaches from the seashore to the mountaintops. Vatnajökull National Park is the largest national park in Europe, covering an area of 13.600 km2. The park encompasses, among other areas, the Vatnajökull glacier, Skaftafell, Jökulsárgljúfur, Lakagígar and Langisjór.